More good news for Dorian Wood, avant-garde musician who just released his new album Rattle Rattle. 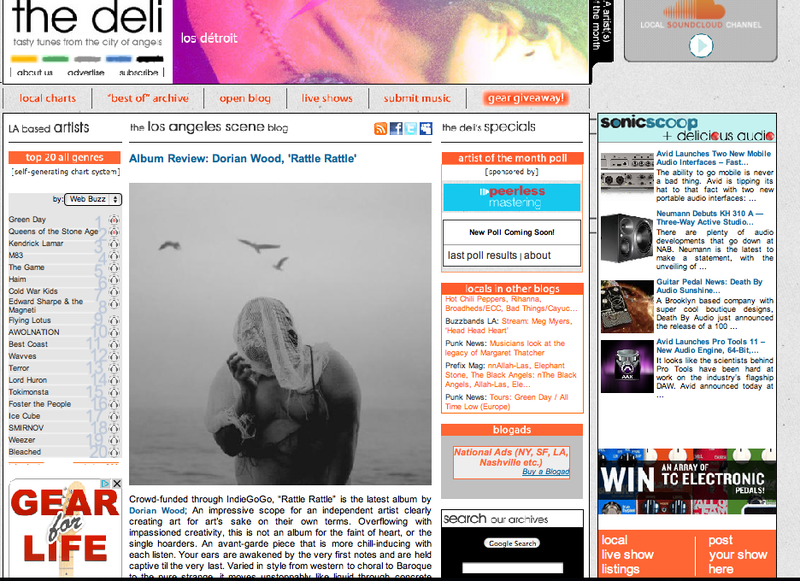 The Deli Los Angeles, blog about the music scene in L.A, has just declared Rattle Rattle the album of the month! The review is now on the cover of the online magazine. We cannot be happier with the results we are achieving. Congratulations, Dorian, and thank you so much to The Deli for their interest!